The past two years (since we started Third Man Records) we’ve tried to do something extraordinary for Austin TX’s South By Southwest festival. Year One we took over part of our favorite Austin restaurant, FRANK, and brought you Texas Sized vinyl (that’s 13″ LPs and 8″ 45s) and a one of a kind pop up shop. Year Two we introduced our Rolling Record Store with live performances from Jack White and Seasick Steve. This year we thought we’d try and do something we’ve never done before at SXSW. A showcase. Yes, we resisted it the first two years, but this year the temptation was just TOO strong. So without any further ado, it is our extreme pleasure to announce The Third Man Records Texas Show Down at The Stage in Austin, TX on March 16th. Featuring your favorite Third Man acts, friends of the label, and bands we just frankly really like that we’d love you to check out. Our friends over at Nasty Little Man and From The Basement helped us put this whole thing together, and for that we thank them. The Rolling Record store will also be in Austin again this year; dealing out records, exclusive goods and some brand new SXSW-only Rolling Record Store merchandise. Check the Rolling Record Store twitter account for locations as we move around the city throughout the festival. It’s first appearance will be Wed the 14th. You can also catch Pujol at ‘Hotel Vegan‘ on Wednesday during the day. Stay tuned for more details on that. 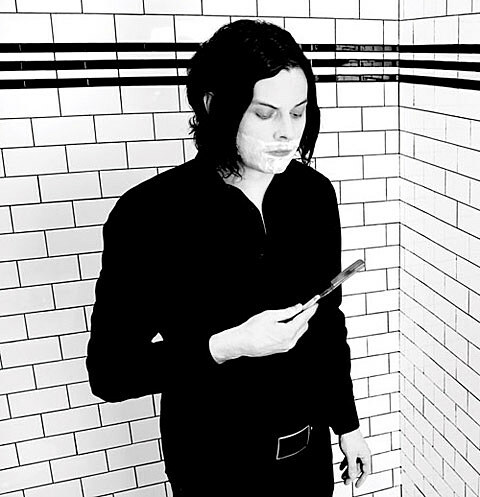 Check out Jack White’s recent SNL performance HERE.